Parents and clinicians have frequently suspected associations between mitochondria, the powerhouse of the cell, and NGLY1 deficiency. In order to gain more insight into this, we funded research at the Mitochondrial Medicine Center at The Children’s Hospital of Philadelphia. This contributed to the publication of the first paper confirming the connection between mitochondria and NGLY1, “Mitochondrial function requires NGLY1” in July of this year. More specifically the paper presents novel evidence that NGLY1 directly influences mitochondrial function. This knowledge fundamentally influences our approach as we seek to learn more about NGLY1 function and potential therapeutic options. In their paper, Kong et al. demonstrated mitochondrial disruption and abnormalities in the liver and skeletal muscle of two unrelated patients with autosomal NGLY1 loss-of-function mutations. This led the researchers to investigate mitochondrial function in genetic models of NGLY1 deficiency across three different species: worm (C. elegans), mouse, and human. Specifically, experiments were carried out in worms missing png-1, (png-1 is the counterpart to NGLY1 in C.elegans), mouse embryonic fibroblasts from NGLY1-knockout mice (provided by Dr. Tadashi Suzuki), and human fibroblasts from the two patients described above. In keeping with what had been observed in the liver and skeletal muscle of the patients, disruption of mitochondrial physiology and function was prominent in each of the three distinct evolutionary models of NGLY1 deficiency. Mitochondrial content was moderately reduced, whereas mitochondrial membrane potential and cellular respiratory capacity dramatically decreased. Mitochondrial oxidant stress increased in all three models. 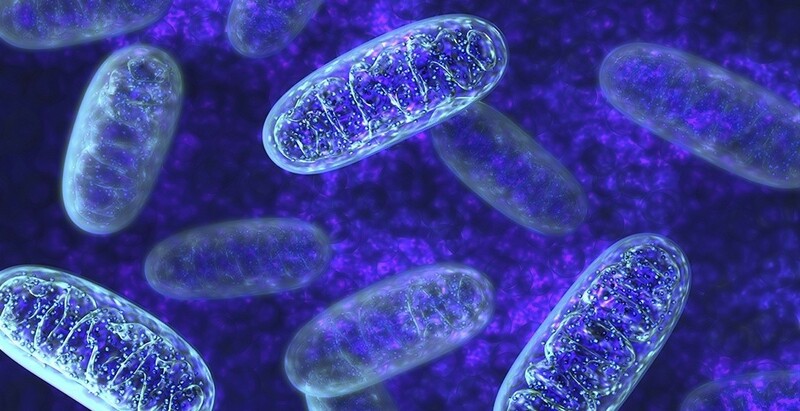 The next experimental step was to see if NGLY1 itself could be proven responsible for the aberrant mitochondrial function observed in the models, by seeing if inserting it back into the cells normalized the function. Lentiviral cDNA rescue (a delivery tool that allows for DNA and genes to be inserted into the genome) was used to restore NGLY1 expression in mouse embryo and human fibroblast cells to determine whether the reintroduction of NGLY1 was sufficient to restore mitochondrial function and physiology. The data showed the lentiviral-based NGLY1 rescue was indeed able to re-establish normal mitochondrial function and thus suggests NGLY1 directly affects and is required for standard mitochondrial function. Further investigation is underway to determine the exact relationship between NGLY1 and mitochondrial physiology. Several studies on human and mouse tissues have already suggested certain types of N-linked glycosylated mitochondrial proteins exist (Fang et al., 2016), which could imply their regulation may be dependent on NGLY1. These additional studies will be essential to developing a broader understanding of the NGLY1 disease pathogenesis and could also inform mitochondrial respiratory chain diseases. Our hope is they will contribute to the discovery of potential therapeutic options for NGLY1 Deficiency and other diseases in the future. We thank our donors for providing their kind and necessary support for this research and other groundbreaking research that is helping us identify additional cellular functions that may require NGLY1.